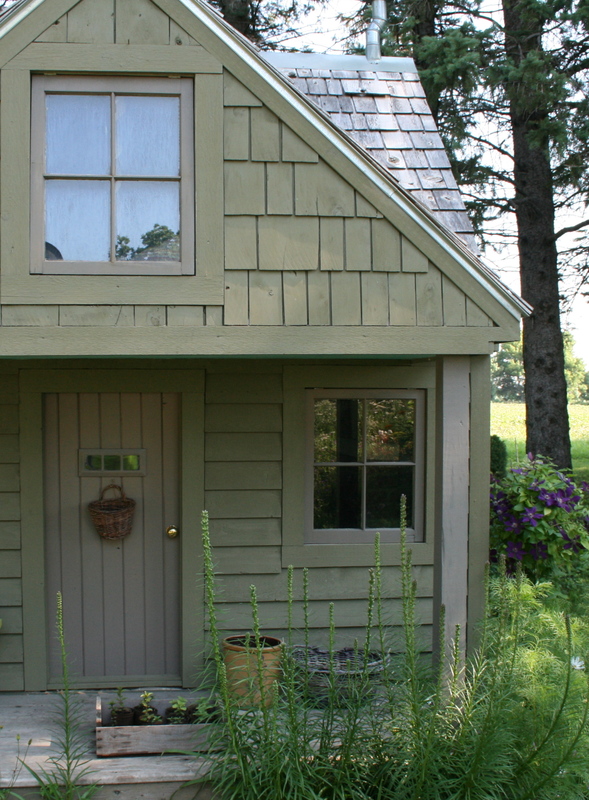 What color is your potting shed? the building color has remained the same color. The building is sided with cedar and stained with Cabot solid finish stain–color Sycamore. This stain has held up incredibly well, does not fade! In 10 years the little garden shed has only been stained twice. It’s a color I have never tired of, it blends nicely in the garden. It’s a color that looks nice with every season of the garden. i’m glad someone asked about the paint/stain, and thanks for telling us. i have always loved this – it’s the first thing that drew me to your blog and to subscribe. and it goes with everything in garden, as you say. i have done some large planters in this color, and would love to do my deck and/or porch furniture.